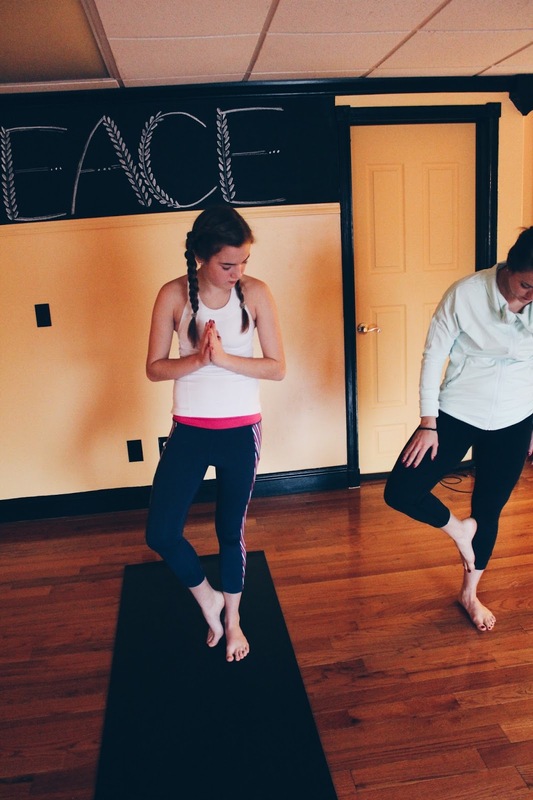 If your New Year's resolution is to exercise or try yoga, more power to you! This post is great place to start. 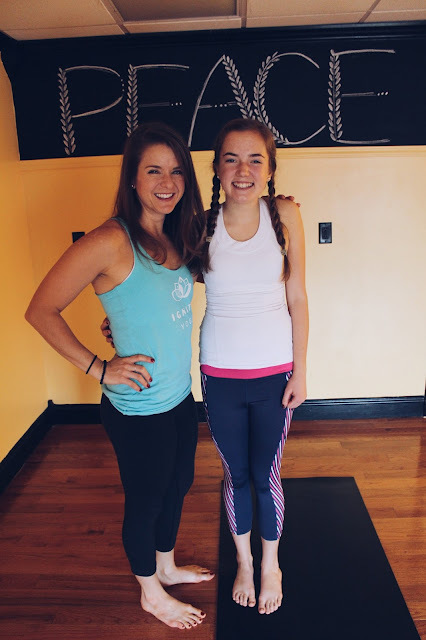 I recently teamed up with a local yoga studio, Ignite Yoga, and today I'll be sharing my experience and a set of poses for beginners. 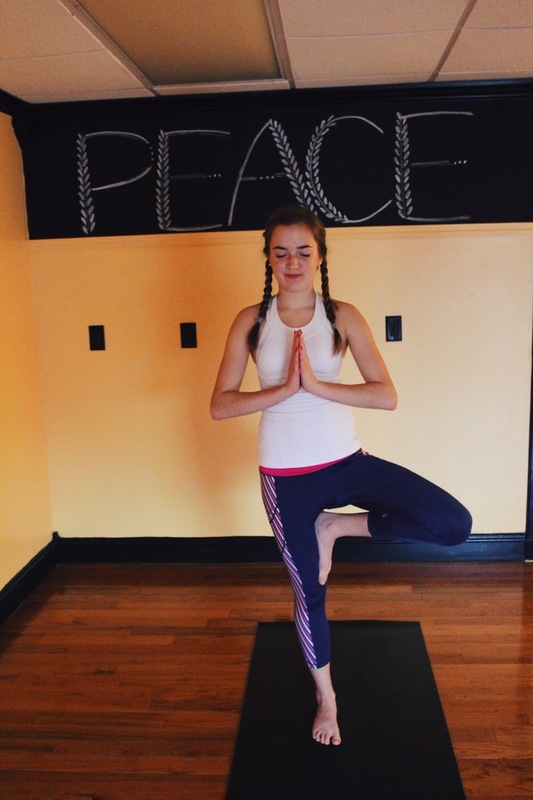 Ignite Yoga is located in downtown Centerville, Ohio. It is small, not overwhelming, and just a very peaceful place to be. The owner, Justina, took me through a beginners class and it was, for lack of a better term, flowy. 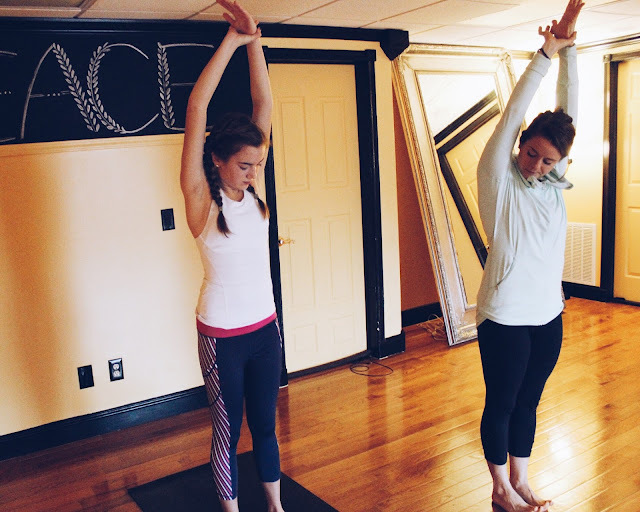 The "flowiness" comes from the fact that Ignite is a Vinyasa studio, which means that it focuses on the flow of yoga. Justina was extremely knowledgeable, fun, and down-to-earth. 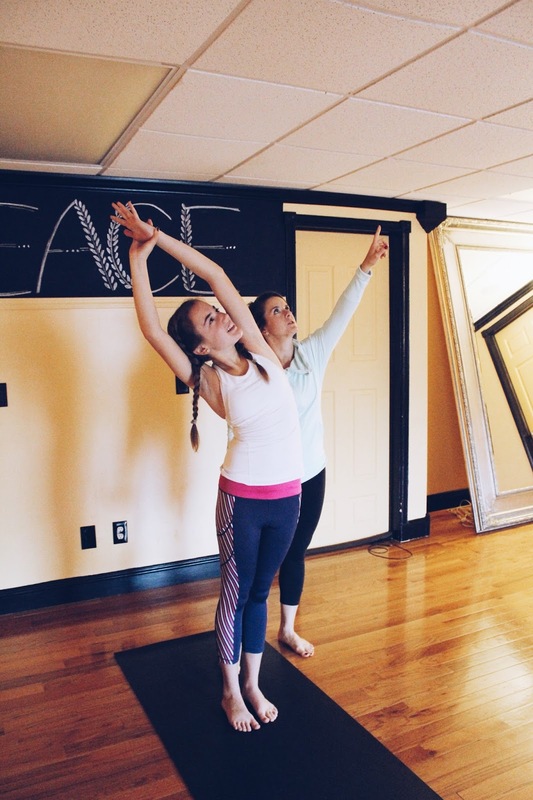 I had always done yoga videos off of my iPad but this experience was so much better. 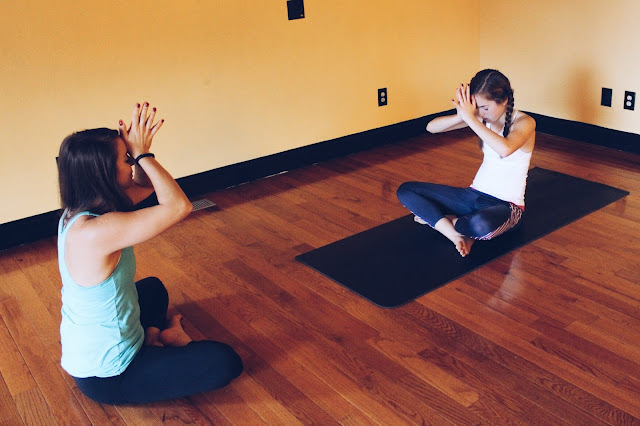 There's just something about human interaction and the overall atmosphere of a yoga studio that made me fall in love with yoga all over again. Without further adieu, here are some of the poses I worked on with Justina! 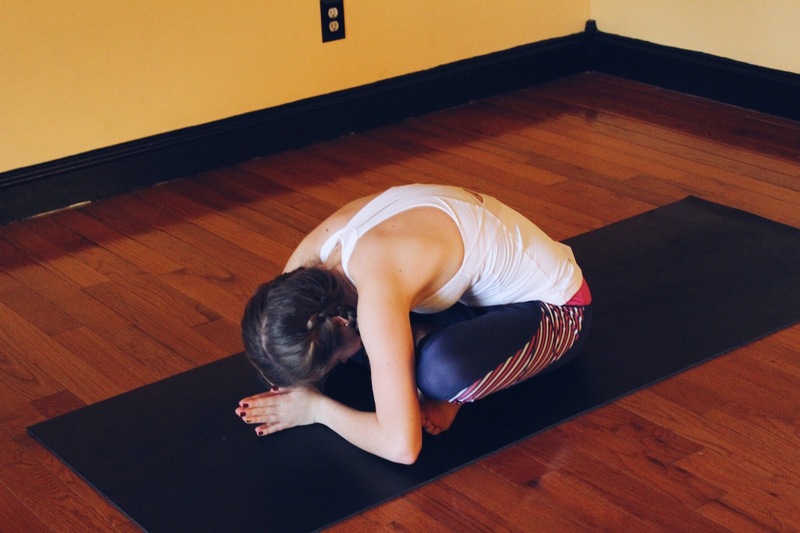 For this pose, sit back on your heels, stretch your arms forward, and rest your head on the mat. 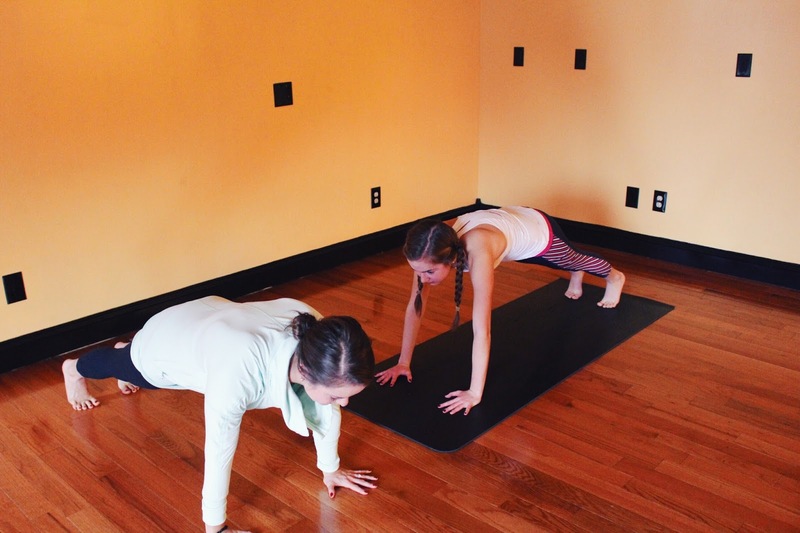 Gently push up into the pose with your heels on the floor and your knees bent slightly. 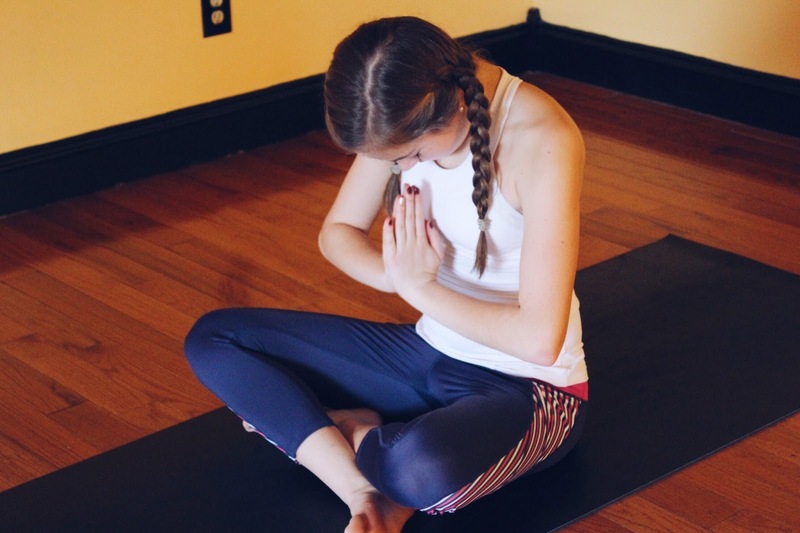 Grab wrists and slowly bend over to each side. 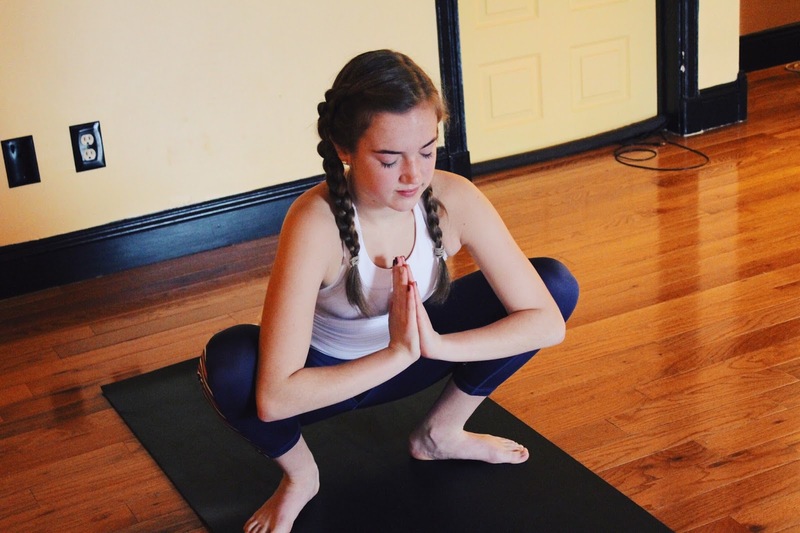 Turning your feet outwards, come to a squatting position. 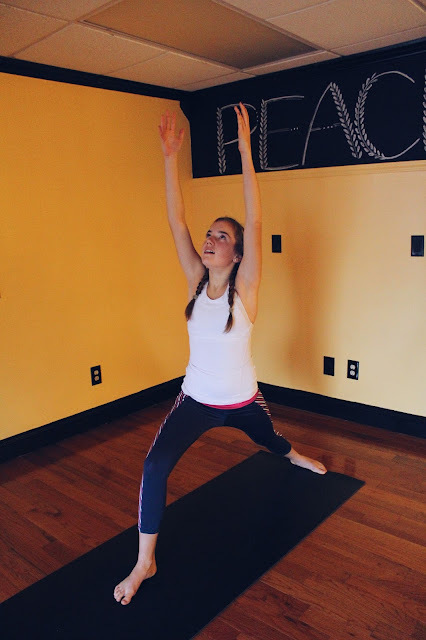 Open your hips by pushing back with your elbows. 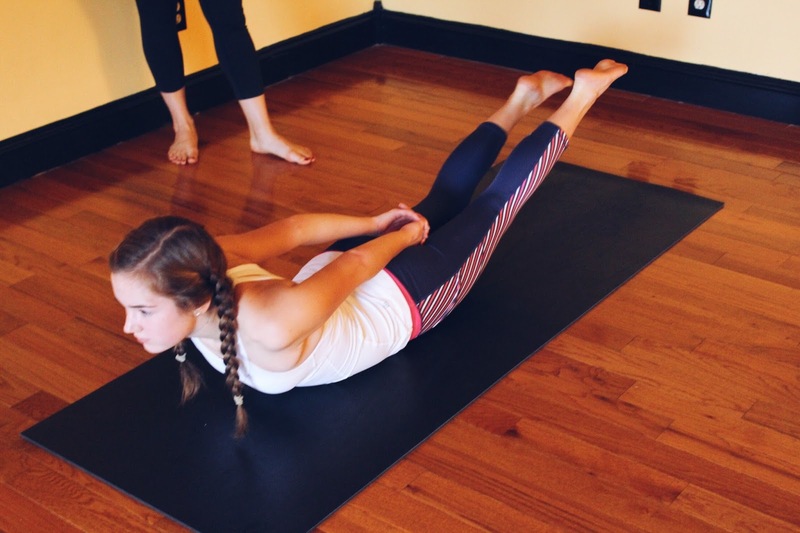 Lower down onto your stomach, lace your fingers behind your back, and raise your legs off the ground. And that's it! Bring this refreshing yoga feeling into the rest of your day. Thank you so much, Justina, for having me! I also got to try out some headstands, which was out of my comfort zone but really fun. For this workout, I wore my favorite workout outfit ever. On the bottom, I wore Devon Maryn capris. The stripe detail on the side is adorable, and it has subtle pockets that can hold your phone, keys, or earbuds while you're on the go. On top, I wore a Devon Maryn peek-a-boo sweatshirt that is light and airy. Underneath, I wore a Lululemon tank.